I have harvested a load of plums early this week. 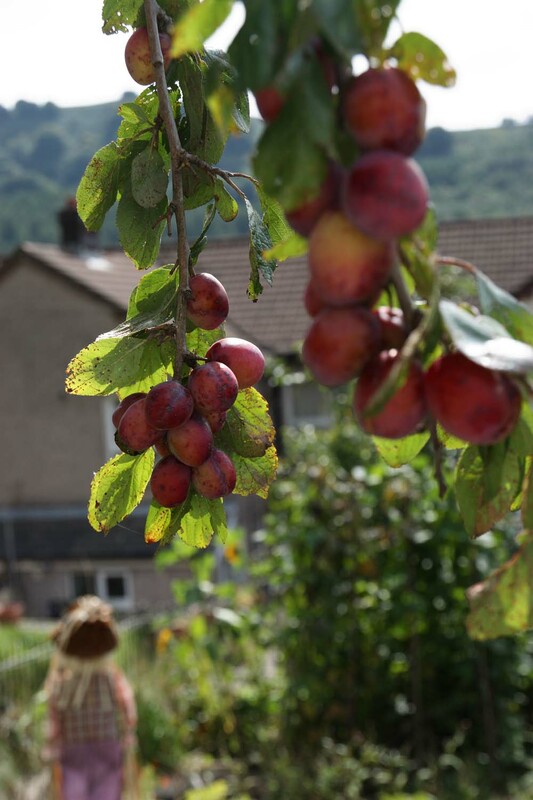 Some this morning were made into Cinnamon Plum Jam and some plums were given away last week to immediate neighbours and some friends. 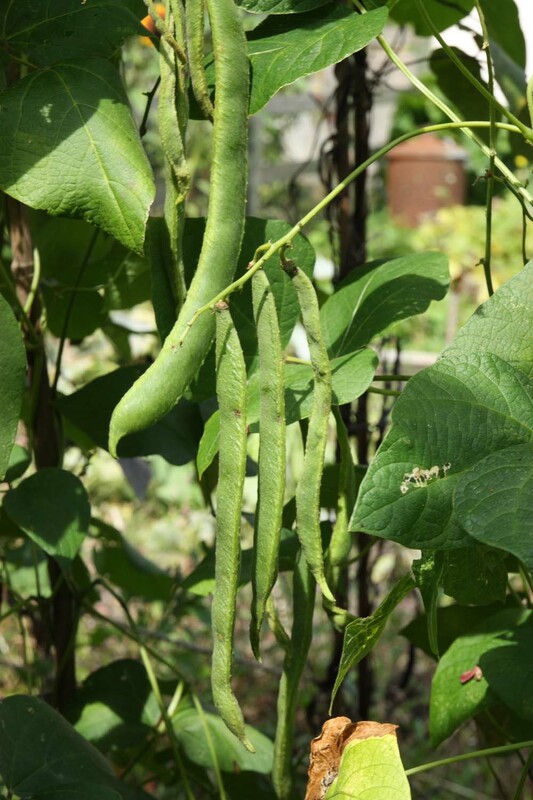 The runner beans are still producing. I have to admit that I have got bored of the runner beans this year, mostly because I have felt uninspired by them. 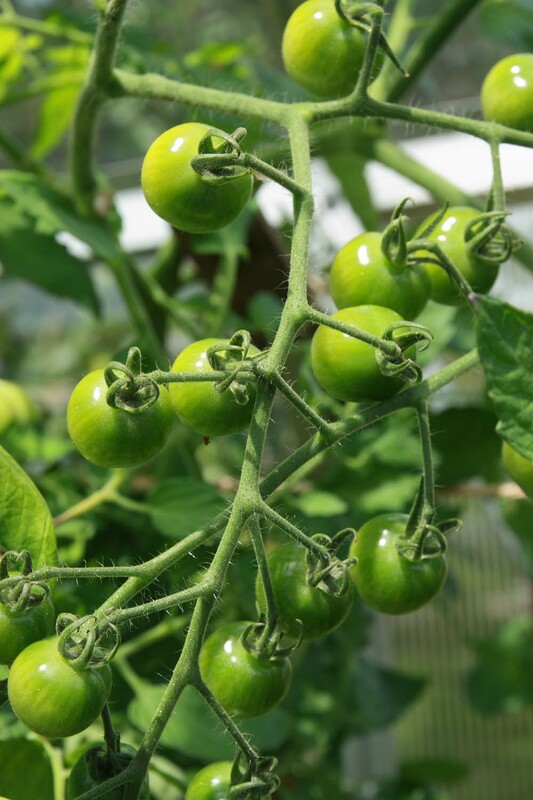 The tomato plants were put into the greenhouse late, so they are a little behind - but they are growing well. 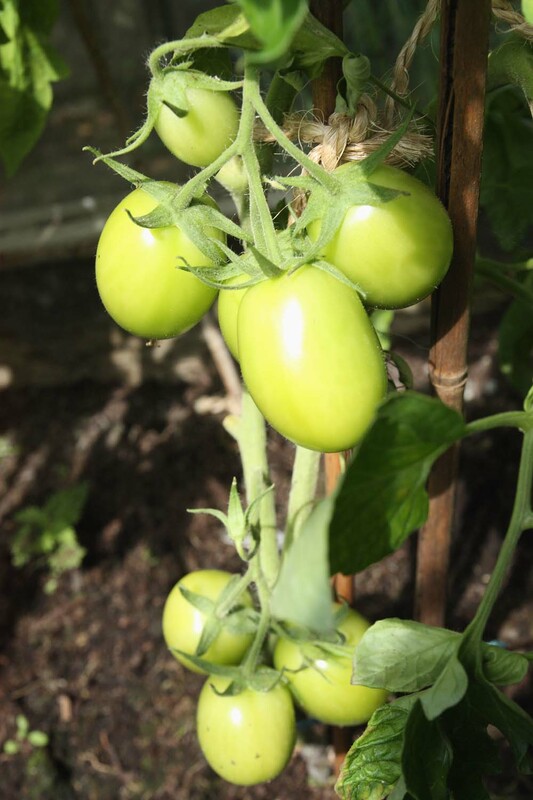 Green fingers crossed that they do ripen and we get to enjoy them very soon. Also hoping that blight does not get to them, so far so good. 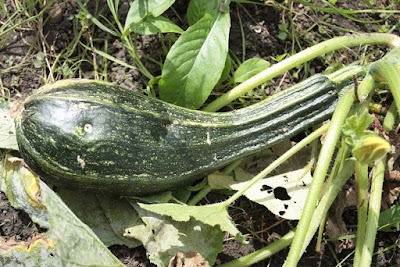 And I still have marrows and courgettes growing, but as you can see from the specimen below - they are a little misshapen, but I don't mind that - it still tastes good. I was just disappointed that I did not get to tuck into many golden yellow ones this year. And finally, I allured you here with the mention of fresh chickpeas, well here they are. I went over to see my parents last week and was given some fresh chickpeas. These were podded and added to a Savoury Pilau - Vegetable Rice. Ooh. fresh chickpeas! Congratulations on your successful vegetable garden, I hope there are many more in your future. 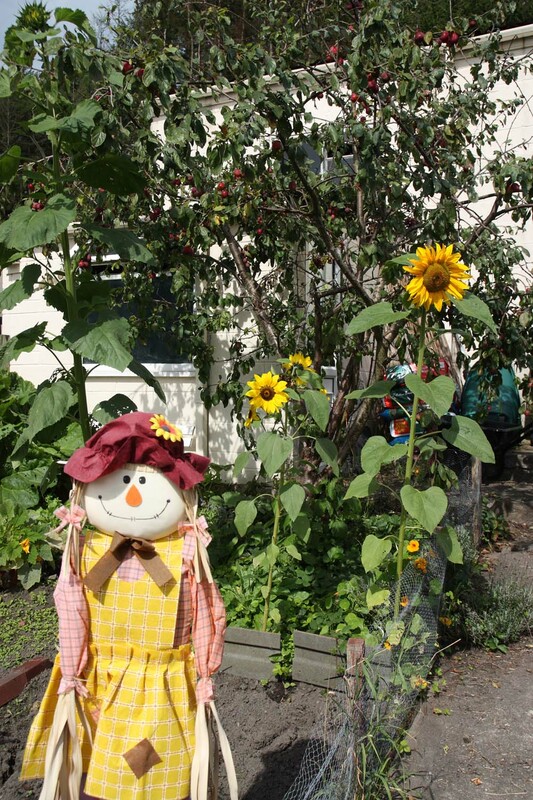 I love all those cheerful sunflowers. Thanks Michelle, I wish I had shown you one out of the pod, it really is a lush green nugget. 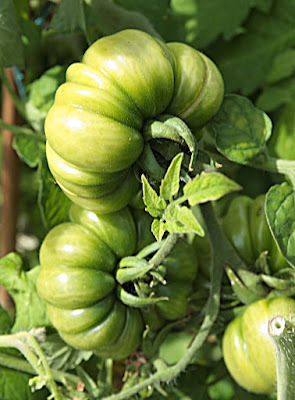 It is great when the garden gives you more than enough to eat, though sometimes it is difficult to deal with the extras. I don't think I've ever seen fresh chickpeas, so that's really interesting! So pleased that i got to show you something new with the fresh chickpeas. I wish I had shown you one out of the pod, it really is a lush green nugget - maybe next year or i will see if my parents still have some to harvest. I love the veg and flowers from your garden...Gorgeous and I am so happy for you! Thank you e. I came by and see that the work at your place is still ongoing, i wish for you that it would hurry and finish. What a lovely post. 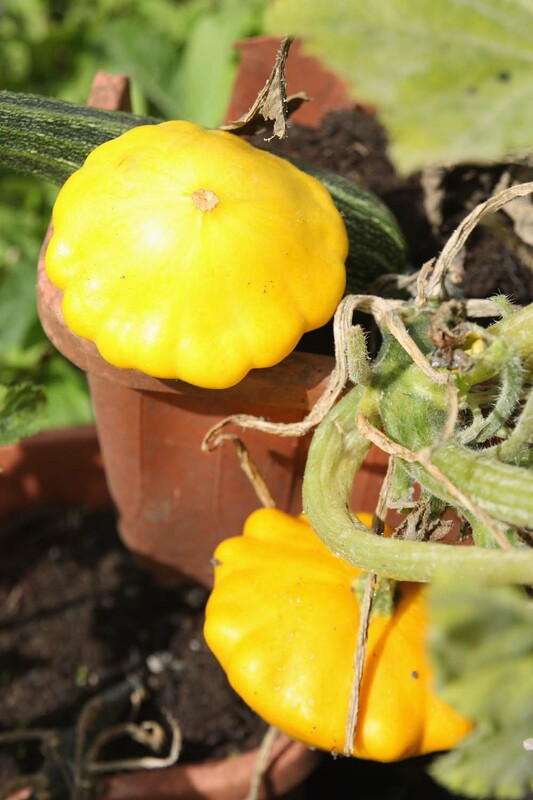 Your patty pans are perfectly shaped and look great in that colourful harvest. 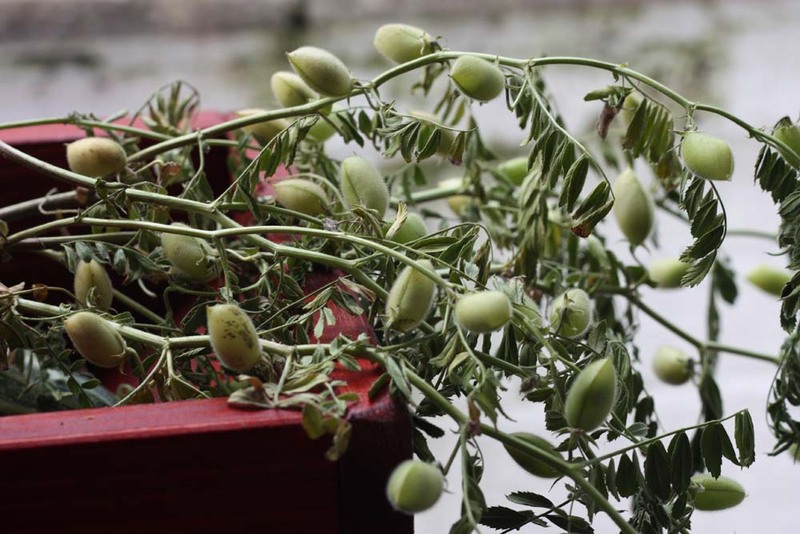 Very interested in the idea of growing chickpeas and eating them fresh, rather than as dried bullets! Thanks Belinda. Yes I am please with the patty pans just hope i can do justice to them for dinner. Fresh chickpeas taste completely different from dried, maybe have a go at growing them next year. My parents keep wanting me to grow them, but I don't have much ground space to give over to them. Thank you so much Johanna. It certainly is this year and we are pleased. 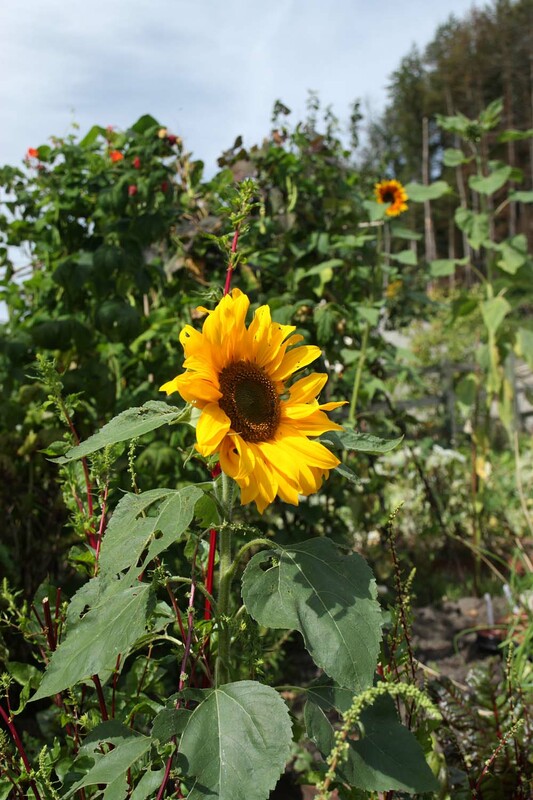 Made even happier with the sunflowers, I will share a photograph of the Russian Giant when spreads those petals. Thanks Kari. Yes pleased for sure this year. 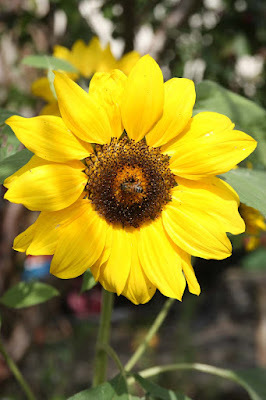 The sunflower seeds will be given to the birds, so it will still be going into someones belly after we have enjoyed admiring them. Looks like fun to come in the kitchen! I love sunflowers. So much! Thank you. I was amused to read that your sunflowers got eaten by the squirrels, i had never heard of that, Hopefully you will enjoy the two you have. I stay "safe" with tomatoes and kale. How cool to have such a productive and gorgeous garden. I'm looking forward to hearing what you do with the patty pan squash - I've seen them in the supermarket and didn't buy any because I wasn't sure what I'd use them in. Yes the patty pans, i am thinking about it still - new to me, but promise I will not currify them! Lovely garden. Sunflowers make me smile! What do you do with your pattypan squash? I've grown them for the first time this year but I'm not sure what to do with them! 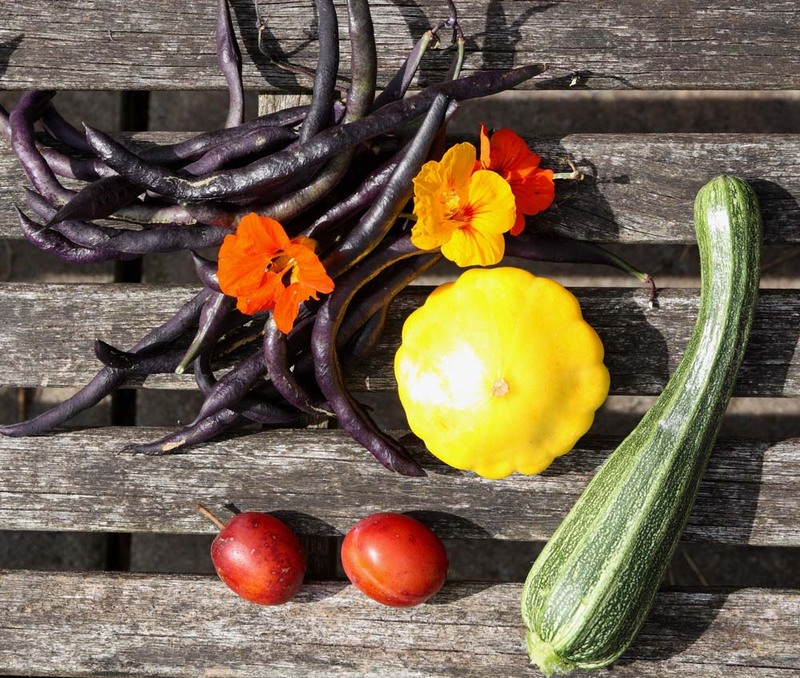 Your garden is indeed doing really well this year: well done, you! We also use nasturtium seeds instead of capers and they do last a long time in the jars... we still have some from the past season.. but have never through of using the leaves for pesto though, so thank you for that idea! You should try making pesto with the leaves, its really delicious. I am hoping to make some more on Sunday in readiness for the working weeks lunch.